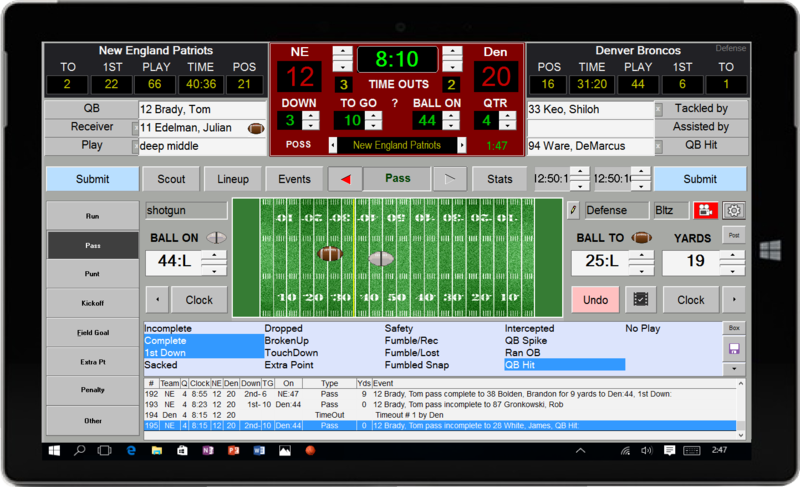 Track over 300 statistics plus advanced metrics for your players and plays. Our 25 years of experience as a leader in statistics will keep you ahead of your opponents. Live scoring apps are useless if you can't keep up with the action. When it comes to live scoring no other company has more experience. View statistics instantly during the game and make adjustments that help you win. Tomorrow's too late. Don't just draw lines and arrows, rather simulate your plays against different defenses and show your players the timing with step-by-step and full animation. It's Easy! Utilize your practice time more efficiently. Be organized down to the minute and never run out of time. Keep everyone on your staff prepared..
Our live scoring screen controls and tags your game video while you score. 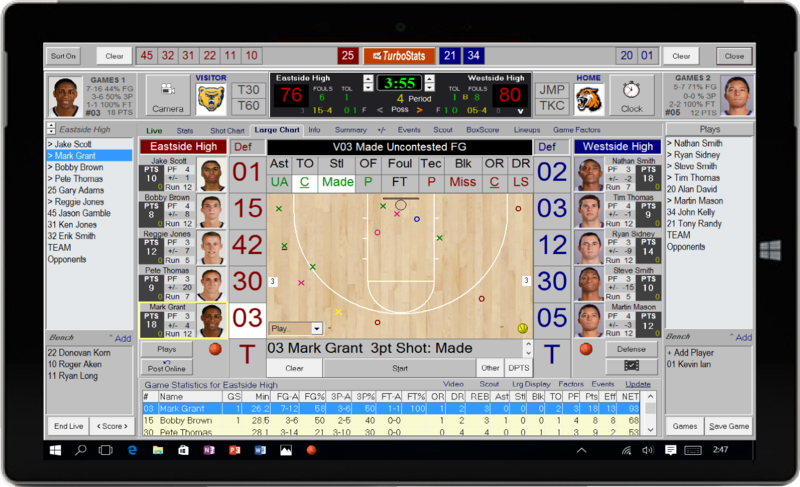 Video stops and starts automatically to make video scoring more efficient. Fans will never miss another moment. Never lose sight of any player. A fast and easy way to stay organized. The most powerful devices deserve the most powerful software. Subscribe to any package for one sport and get another sport at half price. Call us for details at 1-800-607-8287. Coaches all over the world love TurboStats! "I have used your product during basketball season the past two years. It is an outstanding product and definitely makes life as a coach a lot easier.... Thank you for a fine product." "TurboStats was a tremendous asset to our Mt. Mansfield Union High School varsity football team. 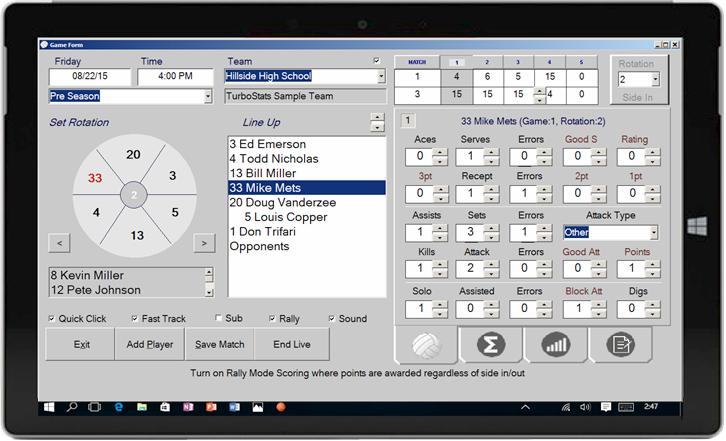 After each game, we devoted hours transferring the play-by-play data into the HUDL site to match each video clip. Now with TurboStats, I can upload an entire game�s series of plays with one click." "Just wanted to thank you for creating and marketing such a fine product. I started using TurboStats for Football this season for the first time, and am amazed at how easy it was to catch on to. I tried scoring a game live. Everything went perfectly! I was actually bored at halftime, waiting for the second half to start. Once again, thanks for a great product." "I have been using TurboStats now for 4 or 5 years and it's by far the best software on the market. 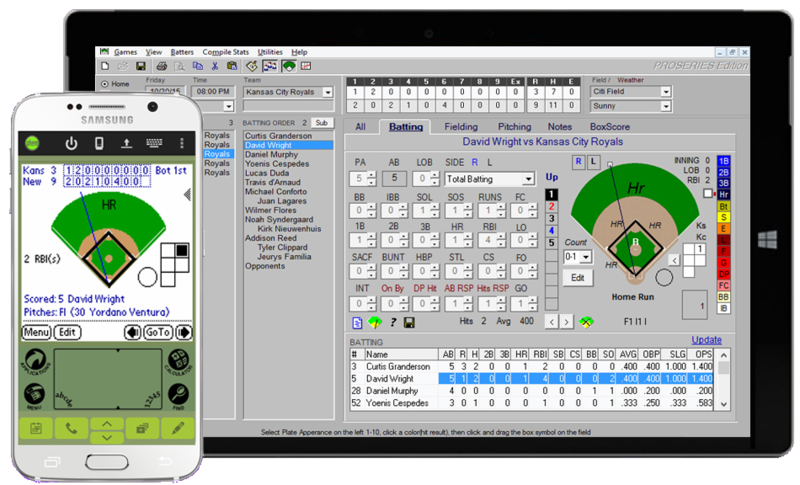 It has made keeping stats easier, and the organization of information on each player has been helpful for recruiting. I have been able to use the summary statistics as part of the portfolios for those players who are trying to play in college. Each of your upgrades makes the software better and better. The program is so easy, our managers actually enjoy doing the statistics. Thanks for a great tool! " "No coach should be without the TurboStats program. If you think you know your players, you should think again. TurboStats presents you with the unbiased raw facts a coach needs to put their best players out there. When questions arise about the decisions I make, I now have statistical summaries to validate everything I do. If you don't have it and are using something else, you're wasting your time - get TurboStats." 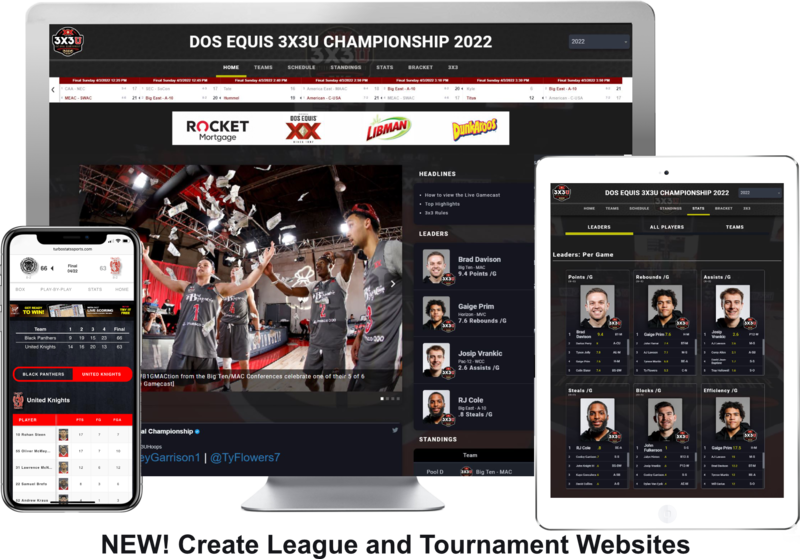 "I take down all the live stats from our games, and I�m able to do things such as calculate an individual player�s efficiency, and track where we�re shooting well and poorly from on the floor. The ability to do that during a game and make adjustments at halftime has helped me out a lot." "Your TurboStats software program has really impressed the league I'm in. My own team went undefeated for the season winning 15 straight!!! I have to give part of the credit to TurboStats for keeping all coaches, players and their parents accurately informed of our strengths and weaknesses." MaxPreps is a registered trademark of CBS. TurboStats, TurboScout and ScoreKeeper are registered trademarks of TurboStats Software Company. Hudl is a product and service of Agile Sports Technologies, Inc.